Soft and cuddly! This flat sheepskin koala is natural, plush and luxurious – it’s perfect for babies, kids – anyone! It has a zippered pocket at the back to tuck your Pyjamas into or maybe even a small hot water bottle or fill it with cushion padding for a Penguin fit for snuggling. 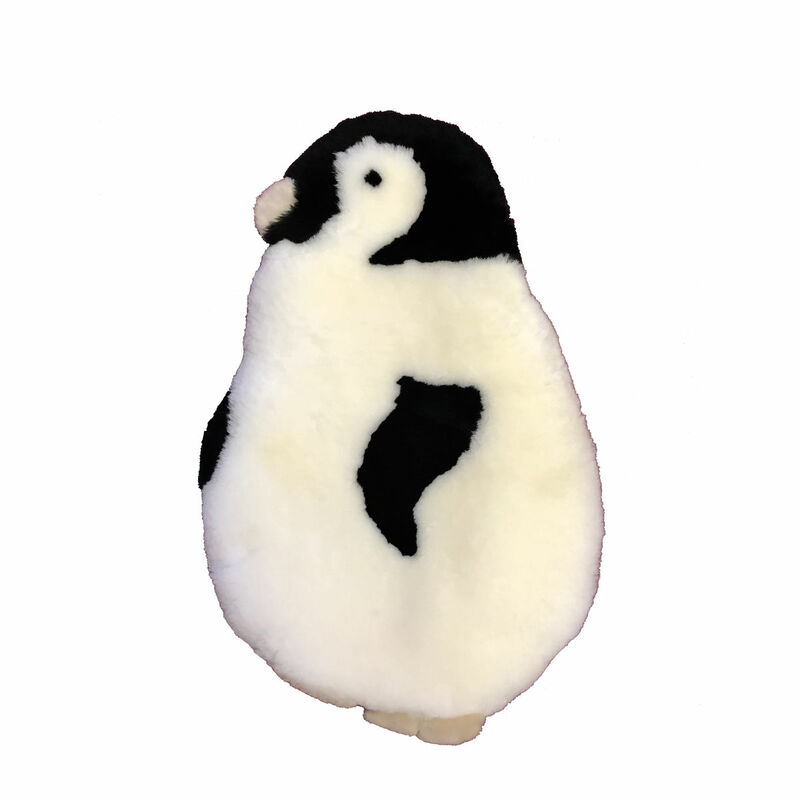 This little penguin is made from ecologically friendly products, what is called EcoTanTM. EcoTanTM tanning uses the most environmentally friendly and technically advanced tanning agents with the end results being products that are free of health harming chemicals that is still used in some other products out in the market place. These products are not only safe for use by you, but are also friendly to the environment. Now that is a breath of fresh air!